The 2018 crisis will be filled with plenty of drama, finger-pointing and inflammatory rhetoric. Every (former, current and future) politician will say it is the other (former, current and future) politician’s fault for the deficits and lack of agreement on the appropriate mixture of taxes and cuts to fill it. Government must stop growing so fast and actually shrink to become more in line with our economy. State government must cede some of its power and authority to local control. Taxes should be collected and kept close to the people. Spending must be more transparent and accountable at all levels. Unnecessary boards, commissions and fiefdoms should be disbanded. Many of the dedicated funds should be eliminated, thereby allowing those dollars to flow to priorities like education and health care. Medicaid spending increases must be contained, and smart reforms like work and training requirements must be implemented. Governmental pension plans should evolve to a more market-based approach just as private sector pension plans have done. Either way, for argument’s sake, let say they end up agreeing on some way to replace the expiring $880 million from the 5th penny. If so, they should not just dump that money back into a bloated, inefficient government. Instead, they should spend it more strategically this time around. 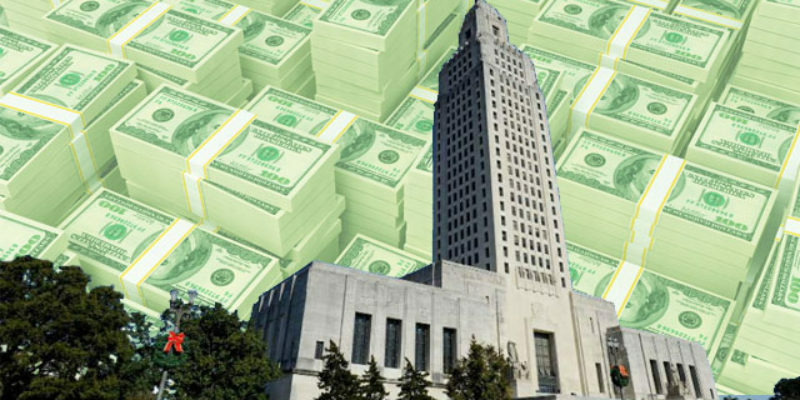 LouisianaCheckbook.com – a new website that shows where every dollar held by the state, local government and the judiciary is being spent in an easy click and read format. Demand low-performing or workforce-irrelevant higher education programs be downsized or eliminated. Expanded k-12 school choice options for the working poor and those stuck in failing schools.